REVIEW: 4.8A (dual 2.4A) 12v to USB socket – Do your dream! As you may gather, most of our kit in the van runs off USB. So our phones, laptop, 4G Access point, GPS watch, fan, Bluetooth speaker, toothbrush, outside light etc etc all need USB to charge. Also, the van and cars have USB powered dashcams. 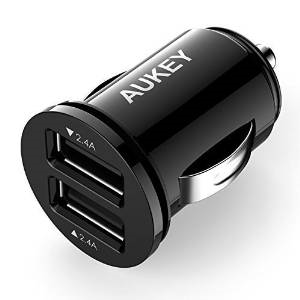 The problem is., cars only have 12v sockets, and there are a pleather of USB converters from ebay and poundland and other places, but the quality varies. We’ve had cheap ones fail and short out power to a phone causing it to go mental! Also, the newer phones and laptop wants 2.4A, and anything less charging becomes intermittent. Also, some say they are high powered but can’t deliver the full 2.4A to both ports at the same time, and this has caused us issues. Some have constant “power on” LEDs on them that’s annoying as hell. We’ve tried loads of cheap ones, and some expensive, but only one works for us – and we have 4x of them in the van (yes, we use that much USB!). the price is right too, in my view surprisingly cheap for what we consider the best – and for sure, don’t pay more!